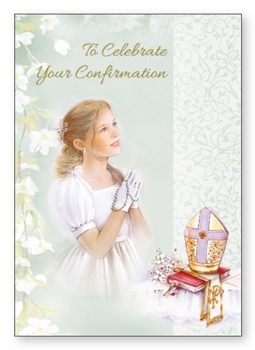 DIVINE CHRISTIAN GIFTS - Confirmation Celebration Card for a Girl. Confirmation Celebration Card for a Girl. On your Confirmation Day may God be there beside you and may the Holy Spirit always be a light to guide you.